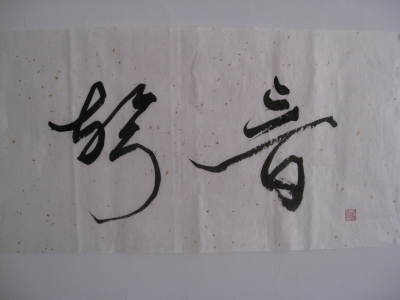 This is Ms. Ling yen Chien's favorite word "聲音” pronounced like shun in. Its meaning is a voice. She explained to me that it includes any kinds of voices such as a human voice or voices of nature. She is in her late teens.